If you're searching for places to work in the Las Vegas area, look no further. All the great things that make Las Vegas home to thousands of families and individuals also make it a haven for job searchers of all stripes, some looking for the very first time, others seeking a change of pace, and others still who are desperately calling every business they can find and hoping that their next big interview will be "the one." But there are new companies springing up across the Las Vegas area all the time, and this begs an important question for job searchers: which companies are the best for employees to work for? We were curious, so, we hand curated a list of the best companies to work for headquartered in and around Las Vegas, NV using data on salaries, company financial health, and employee diversity. Company Description: As a global leader in the gaming and lottery industries, Scientific Games' empowers their customers by creating the world's best gaming and lottery experiences. Their casino, interactive and instant lottery games are designed to reach players wherever they are and whenever they want to play. Scientific Games is an exciting place to work. They drive innovation, champion groundbreaking ideas, and bring meaning to their work every day. They have opportunities for everyone. You will work in a fun place where you can earn a living and not think of your tasks as work. Company Description: Yellow Cab acquired Checker in 1982 and acquired Star in 1986, and now operate as Yellow Checker Star. The entire propane fleet logs 50 million miles per year, and saves the Las Vegas Valley over 800 tons of carbon monoxide and 800 tons of particulate matter per year. They believe it is their people who are their most important asset. The company recognizes each and every team member is an asset to this organization. This is the reason why they provide their employees and drivers the opportunity to earn a decent living for their families. 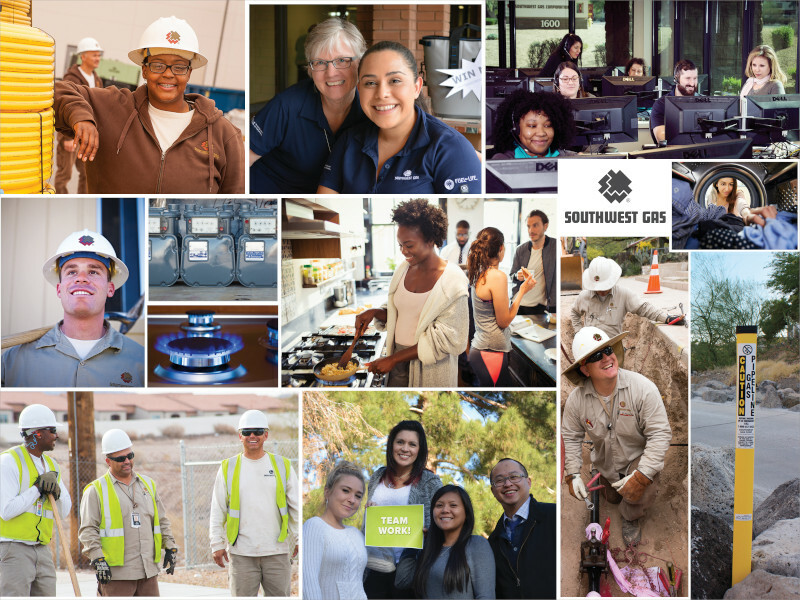 Company Description: Southwest Gas Corporation provides safe and reliable natural gas service to over two million customers in Arizona, Nevada, and California. Our employees know that becoming a Southwester isn’t just a job, but the beginning of a rewarding career. The average tenure of employees at Southwest Gas is 15 years. Creating a positive and friendly workplace takes teamwork, innovation and commitment. Southwest Gas is proud to have an outstanding team with future growth prospects. We’re a high-performing organization, both financially and operationally. Company Description: FBoyd Gaming Corporation is one of the largest and most successful casino entertainment companies in the United States. They currently own and operate 24 gaming properties in seven states. Boyd Gaming prides itself on offering guests an outstanding entertainment experience. They are always looking for fun, passionate people who are committed to exemplifying pride and excellence in all they do. Th company offers all team members a choice among three different health care plans so that they can get the medical coverage that best fits their needs. Company Description: Official Allegiant website, the only place to book Allegiant's low fares for flights to Las Vegas, Florida, and more. Buy your airline tickets direct and save. Company Mission: To provide high-value, low-cost travel experiences to our customers. Company Description: Palms Casino Resort is internationally recognized for its exceptional accommodations, high-energy nightlife, extravagant pools and world-renowned restaurants,. Palms Casino Resort captures all the excitement and energy of Las Vegas in one vibrant setting. Situated on nearly 30 acres, Palms is a boutique property with three distinct towers. From the level of service they provide their guests to the career growth and opportunities available to their Team Members, their culture is quite simple: They want to be the best. Here, you will be compensated well for your hard work and dedication. Company Description: Full House Resorts, Inc. develops, owns, operates and manages casinos and related hospitality and entertainment facilities in regional U.S. markets. Based in Las Vegas, Full House operates five casino facilities in Mississippi, Indiana, Nevada, and Colorado. Each of our gaming properties reflects a unique atmosphere custom-designed for each regional market. For great customer service, Full House needs great employees and they have them. Their team also has extensive financial experience, and a record of success in building shareholder value. They are compensated well for doing a good job. Company Description: IGT's integrated portfolio of technology, products, and services, including its best-in-class content, is shaping the future of the gaming industry by delivering the innovation that players want. IGT is the world's leading end-to-end gaming company. IGT attracts the industry's top talent, with more than 12,000 employees across the globe. Your development matters. Your ideas count. And your advancement is tied directly to your accomplishments. Invest in your growth. You'll achieve more with the help of their innovative tools including On-the-job training, Product training, Individual coaching, and Personal skill competency courses. Company Description: Founded in 2000 and headquartered in Las Vegas, Nevada, Switch is built on the intelligent and sustainable growth of the Internet. Its Founder and CEO, Rob Roy, developed more than 500 issued and pending patent claims covering data center designs that manifested into their world-renowned data centers and their technology solution ecosystems. Can you support a fast-paced, ever-changing and purely exciting environment- They are seeking experienced candidates that possess high ethical standards with core competencies committed to delivering superior service to their clients and team members. They give competitive compensation packages. Company Description: Las Vegas Sands is the pre-eminent developer and operator of world-class Integrated Resorts that feature luxury hotels; best-in-class gaming; retail; dining and entertainment; Meetings, Incentive, Convention and Exhibition facilities; and many other business and leisure amenities. They pioneered the MICE-driven Integrated Resort. Their Compensation and Benefits Programs have everything you'd expect from the global industry leader. Plans and programs are specifically designed to take care of the whole you, ensure the wellness of your family, and create a positive work environment. Company Description: UBM partners with their clients to deliver strategic, integrated communications solutions to key decision-makers through the proven strength of their brands, when and where our clients need it. ModernMedicine, part of UBM Medica, is one of the largest healthcare media and publishing companies in the United States. Their coaching and mentoring opportunities provide you with guidance and support to reach your full potential. It's a two-way relationship with both partners gaining significant benefits, both personally and professionally. Company Description: Diamond Resorts offers destinations, events and experiences to help members make a habit of breaking from the routine. From unforgettable getaways to exclusive concert series to VIP receptions and dinners, members turn to Diamond to recharge, reconnect and remind each other what matters most. With access to a world of entertainment and activities, a Diamond membership ensures that people are always looking forward to vacation. They offer endless career opportunities that will put you in the center of the action. Team up with talented thought leaders on projects and face challenges with teams outside of office boundaries. Company Description: Wynn Resorts, Limited, owns and operates Wynn Las Vegas and Encore in Las Vegas, Nevada as well as Wynn Macau and the Wynn Palace is located in the Special Administrative Region of Macau in the People's Republic of China. The Company holds more Forbes Travel Guide Five Stars than any other independent hotel company in the world. They offer a leading built-to-scale total rewards package that includes benefits, perks, and work-life integration. They love what they do. It shows in the positive and constructive attitude they bring to everything they do. Company Description: Rimini Street is the global leader in providing third-party enterprise software support services to over 1,580 active clients. They enable licensees of Oracle, SAP, IBM, Microsoft and other enterprise software to enjoy ultra-responsive support, save up to 90 percent on total support costs and free up funds to drive innovation. With a global workforce in locations around the world they are always looking for energetic, enthusiastic, and experienced professionals to join their world-class team. With this company, you have the opportunity to take part in collaborative work experiences across business lines all over the world. Company Description: MGM Resorts International is a global entertainment company with national and international locations featuring best-in-class hotels and casinos, state-of-the-art meetings and conference spaces, incredible live and theatrical entertainment experiences, and an extensive array of restaurant, nightlife and retail offerings. MGM Resorts International employees engage, entertain and exceed the expectations of their guests worldwide. Guest service is ingrained in their culture and their employees live for it. Explore their video gallery to hear from their employees firsthand what it's like to work for MGM Resorts. Company Description: Caesars Entertainment is the world's most geographically diversified casino-entertainment company. With a foundation built on providing great service, excellent products and unsurpassed service to our guests, Caesars Entertainment has become a global leader in gaming and hospitality, operating resorts and casinos. Company Description: GES is more than just an event planning and marketing company. They are a boutique agency that delivers results, no matter where you are. They are a partner that strives to be the go-to resource for every exhibition, convention, or corporate event. Their turn-key solutions guide you through every aspect of your event, from logistics and strategy to technical support. They offer benefits including Competitive salaries, 401K with company match, Healthcaredental insurance, Wellness benefits, Career development programs, Tuition reimbursement programs, Employee assistance programs, Flexible schedules, Vacation time, Community involvement opportunities, and more. Company Description: Everi is a diverse collection of brilliant and talented individuals committed to giving patrons and operators alike a premium experience on the casino floor. They are accountants and artists, engineers and visionaries. They dream, design, program, and build. We listen, help, and serve. They believe in the values of Transparency, Collaboration, Passion, Integrity, Strength, Innovation, Inspiration, and Quality. If you have creative ideas and want to develop your projects further. 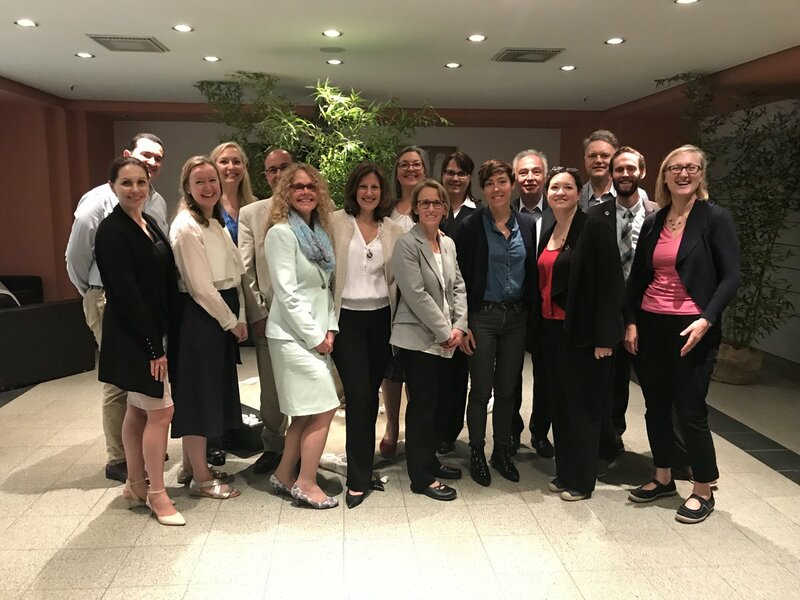 Their programs allow you to prepare for future client needs and promote thought leadership as a key part of the value they bring to their projects, clients, and communities. Company Description: TripAdvisor, is the world's largest travel site which enables travelers to unleash the full potential of every trip. With over 630 million reviews and opinions covering the world's largest selection of travel listings worldwide covering approximately 7.5 million accommodations, airlines, experiences, and restaurants. They have exceptional career opportunities. You will also be working with smart and collaborative coworkers. They also have incredible perks and benefits, as well as collaborative and innovative offices. You will also be in an environment where people have a passion for learning, for challenges, and of course, for travel. That's all for this one, but there's more to see here at Zippia. You can read more on the methodology here.